Although we primarily use a pushchair, there are times when a stroller is just far more convenient and I wouldn't be without one. 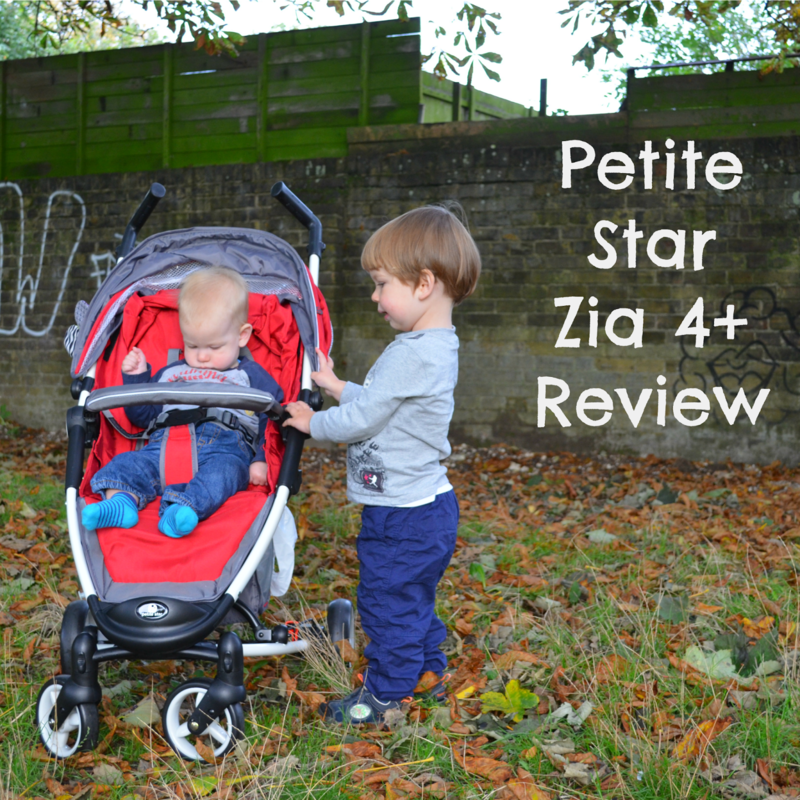 We were recently sent the Petite Star Zia 4+ and have been trying it out for the last couple of months. The Zia is a lightweight, compact fold stroller that is suitable from birth to 15kg. The stroller comes with a basket and a raincover and an additional car seat can be purchased to make it into a travel system. You can also buy a matching footmuff and changing bag should you want the full package. 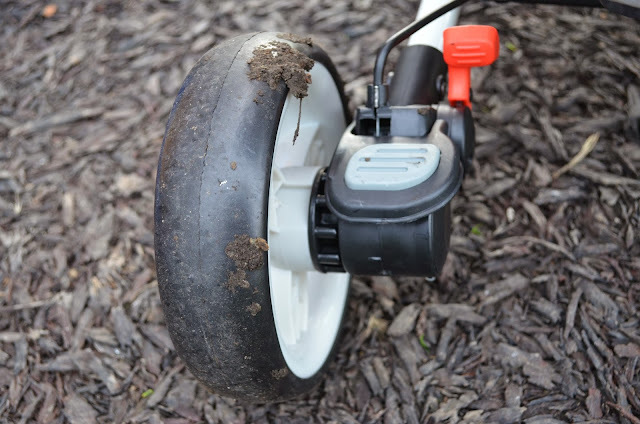 The buggy has back wheel suspension, the ability to lie completely flat and sit bolt upright and a bumper bar that can be opened at either side. 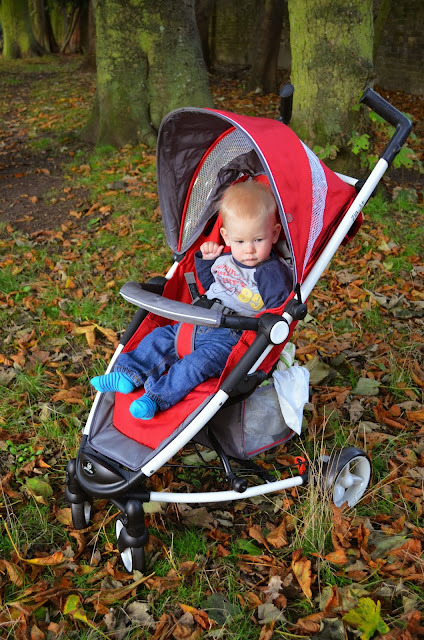 We have found this stroller incredibly nippy and easy to use. The suspension makes for a comfortable ride and the seat is spacious enough even for my large toddler. 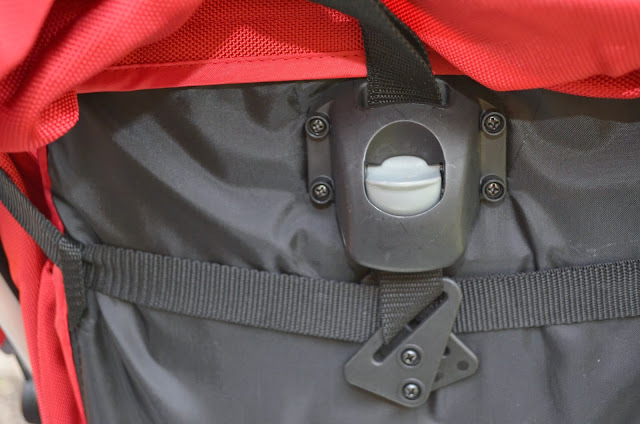 The 5 point harness is easily adjustable and the bumper bar is easy to use and openable from either end. 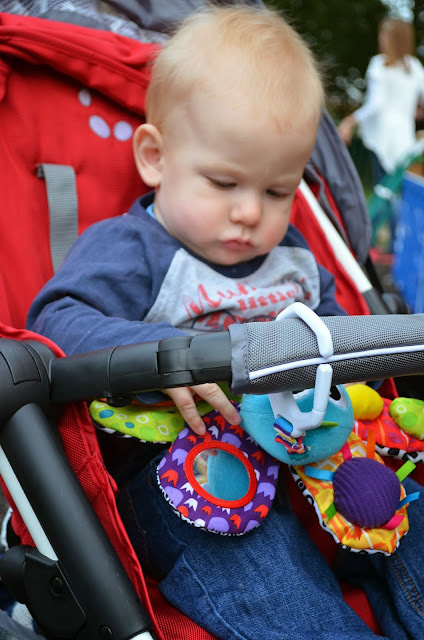 The buggy is incredibly easy to fold (two handed) but I really struggled to secure it with the clip, so tend to leave it unfastened. It is incredibly compact and a much better fit in some smaller boots that a traditional umbrella fold stroller. I have found it the easiest pushchair to fold in a cafe when needed and the frame is very light. I have found the hood is rather small and I do prefer one that extends further and provides more shelter for a younger baby. It is sufficient for an older child but doesn't give much shelter from the sun or wind. The raincover is really extensive and I like that it covers the back of the pushchair as it keeps bags and the basket contents dry. 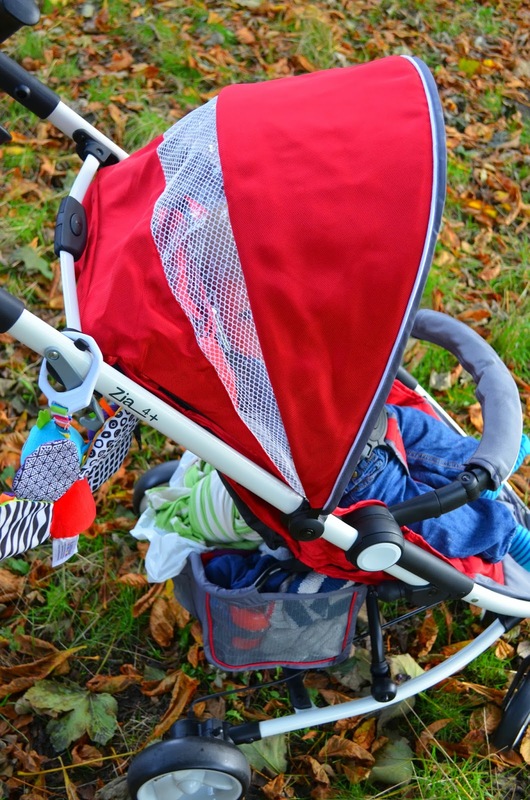 It is thicker and stronger than many other stroller rain covers and very easy to use. I have found the basket to be quite small, especially with the raincover in, but as I am more used to a pushchair I think I am a bit spoilt in this department. The basket is secure and easily accessible though and when needed I can fit quite a bit in there. The style of the back is perfect for those with a long stride, as there is nothing to kick and no bar joining the back wheels - this is something the bloke finds very important. The handles are adjustable and have two different heights. I do prefer them on the higher level as I am 5'9, but I have found that they often slip down as I am walking. Looking at other online reviews I do think this may be only mine though, as I can't find anyone else who has had this problem. I do find this stroller incredibly easy to push, even with a 16kg 2 year old in it, and I have no problems with curbs and corners. It feels secure and steady and I can steer one handed without issue. The brakes are easy to use and there is no kicking up, which makes life much easier when you are in flipflops! There is a red brake that you push to activate, and a grey brake that you push to release. Overall I do think this is a good strollers I am not sure I would use it as my main pushchair for a small baby, despite it being described as suitable from newborn, but I do prefer a tradition carrycot for the first few months and there is no option for one of these. The Zia is great and easy to use for toddlers though, light to push and comfortable for the child. I think this is a great option from 6 months as the child can still lie flat for naps and you still have all the benefits of a nippy stroller. It is currently available to buy from Nursery Value for only £89.99 which is great value in my opinion.